No one in the remote town of Edwards Hill could have known that she was capable of such carnage. Least of all her parents, the first to die. Driven by the gentle words of the Calm Voice, she inflicts a barrage of carnage and death, leaving a trail of blood in her wake. Her goal is to bring death to all who have hurt her. All she needs to do is listen to the Calm Voice. Love might be too strong a word for a work of terror and destruction, but just in case it isn’t, I am going to go ahead and say that I loved I Am Calm Voice. Author Robert E. Kreig has done it again in this work; he has written a book that is simply un-put-down-able. I have been lucky enough to have had the chance to read some of the other fine books by author Kreig, those in his Woodmyst series, but Calm Voice is really little like those. In my opinion, it’s even better. I was downright frightened by some scenes, and that almost never happens to me when reading a book, even by some of the most recognizable names in horror-based fiction. It is easy for me to give this book my highest recommendation, and to say that I simply cannot wait to read more from the extremely talented (and dare I say, perhaps somewhat twisted) author, Robert E. Kreig, as soon as he has something available! I really enjoyed I Am Calm Voice. This is certainly one of the more intense, haunting novels I have read in recent memory. Mr. Kreig takes us into the minds of not only Kristin, but her victims as well. The feelings of fear and worry are palpable, not just from the people involved, but the community as well. I Am Calm Voice is almost shocking in the way Kristin coldly takes lives, compelled by her inner demons. Mr. Kreig almost suggests the ‘Calm Voice’ is an otherworldly entity, coaxing people to kill and playing on their innermost insecurities. It’s a fascinating metaphor for psychosis and psychopathy, and makes one wonder what does go through the heads of people who plan murder on a massive scale. I highly recommend this novel. 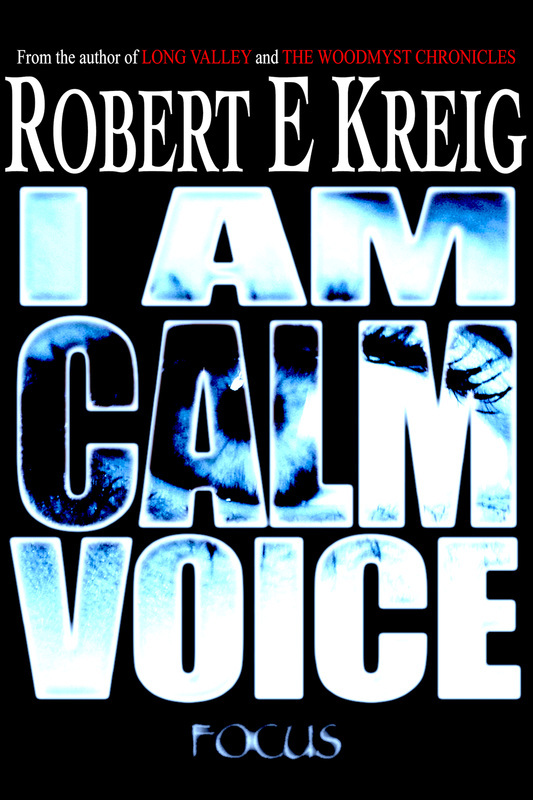 I Am Calm Voice by Robert E Kreig is a masterful blend of crime fiction and thriller, a compelling work that features an unusual serial killer. Robert E. Kreig is a gifted writer who knows how to hook readers from the very beginning. The story opens with a televised interview of a former member of the forensic team, an opening that immediately introduces the reader to the powerful conflict that will permeate every layer of the plot. The author combines the power of vivid descriptions and plot-driven dialogue with the gift of storytelling to create a world where readers feel anxious but excited to navigate. As I read this intriguing story, I couldn’t help but think of this author together with James Patterson. I loved the way the protagonist is crafted, a complex character with a psychological problem called The Calm Voice, something she identifies with. I Am Calm Voice will entertain and shock readers and they won’t be able to put it aside. ​I really enjoyed it and all the twists and turns. I think we can all relate , especially in this time frame of life (teenage years) wanting to get revenge on bullies and those that have wronged us. This is extreme but it's a good read and I was on the edge of my seat to see what comes next. Read it over a weekend. Would recommend to those who like revenge stories and dark thrillers.